When Order of Battle moved to free-to-play just under a year ago, Slitherine and The Artistocrats officially started a move to offer wargames to its audience with the goal to attract new players to the challenges and complexities of deep turn-based strategy games. This undertaking sparked a new life for the franchise. 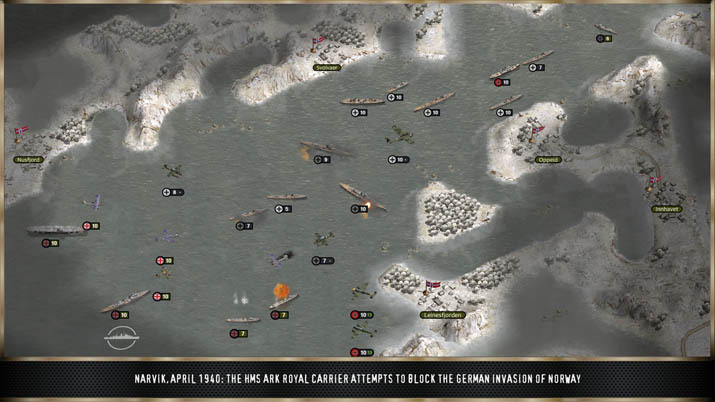 Hundreds of thousands of players downloaded the free version, tackling Pacific operations as well as European Theater scenarios. Order of Battle has today become a platform with an impressive amount of content and players around the globe can pick and choose the single campaigns they want to play. - a set of new scenarios featuring unique and varied situations, from amphibious assaults, surface and submarine convoy raiding and large scale naval battles in the Baltic, the North Sea and the Atlantic Ocean, 50 new units and brand unit type: seaplane tenders, which can carry and resupply seaplanes. The Slitherine Group is a producer and publisher of digital wargames and strategy games. Under the Slitherine (www.slitherine.com), Matrix Games (www.matrixgames.com) and Ageod (www.ageod.com) brands it has published hundreds of games, spanning all digital platforms. Slitherine is also involved with book publishing, board gaming and works with a wide array of key licensing partners, such as HISTORY®, MILITARY HISTORY®, Games Workshop®, Horrible Histories™, Showtime, BBC, Osprey, Scholastic, Buzz Aldrin Enterprises. They strive to deliver the best blend of historical accuracy in an entertaining way.